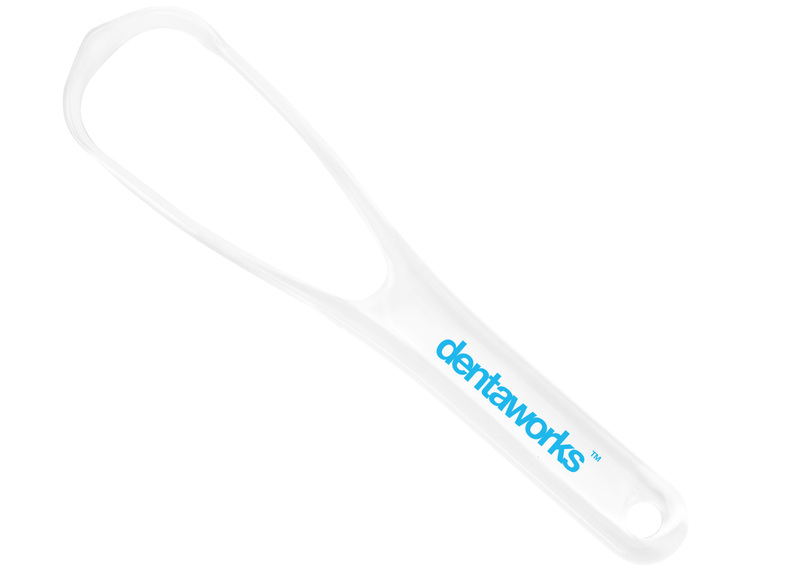 Dentaworks Tongue Cleaner easily removes baterial plaque, improves bad breath and oral health. Use tongue cleaner with ridge facing down to clean from back of tongue to the front. Clean both sides of the tongue. Rinse after use.